In Summer 2014, Around the World in 80 Days provided the perfect sponsorship opportunity to continue a long-standing partnership with Manchester Airport Group. Manchester Airport has supported the Royal Exchange Theatre as part of their arts sponsorship programme for over 15 years and this flagship family friendly production was a natural choice for our next project together. A word-of-mouth hit, Jules Verne’s classic adventure story took audiences on a whistle-stop trip around the world in the company of the slightly stuffy Phileas Fogg and his travelling companion Passepartout – all in the name of a bet. The complicating factor? In Victorian England there are no planes! As production sponsor, Manchester Airport had access to opportunities for staff engagement and client entertainment, with logo placement on publicity materials and within the theatre building. The team worked together to design creative marketing benefits, including a social media campaign, PR activity and city-wide branding. Our favourite moment was co-ordinating a photo-shoot at Manchester Airport Arrivals Lounge, with Phileas Fogg and Passepartout decked out in Victorian costume, interacting with bemused and delighted passengers! The resulting PR brought in 10 news articles with over 1,000,000 opportunities to see and a connected social media competition reached an estimated 500,000 people via Manchester Airport’s Twitter feed.  The history of the Royal Exchange Theatre is as dramatic as the productions on stage.